A gentleman playing backgammon in the street, Topkapi, Turkey. 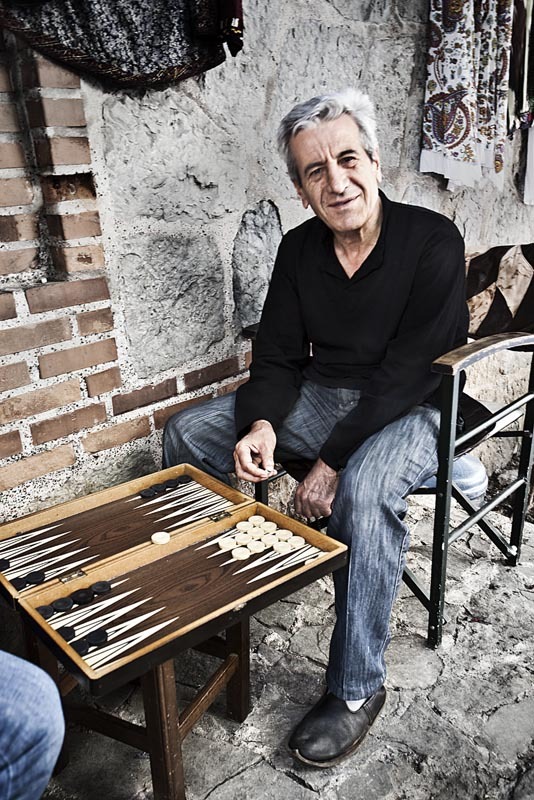 Backgammon is a popular game in Turkey. My colleagues used to play frantically at work during the lunch break. Easy to play and no better place to be than the shadow side of the sidewalk of the street during a warm summer afternoon.